We have decided to discontinue ReBirth for iPad. 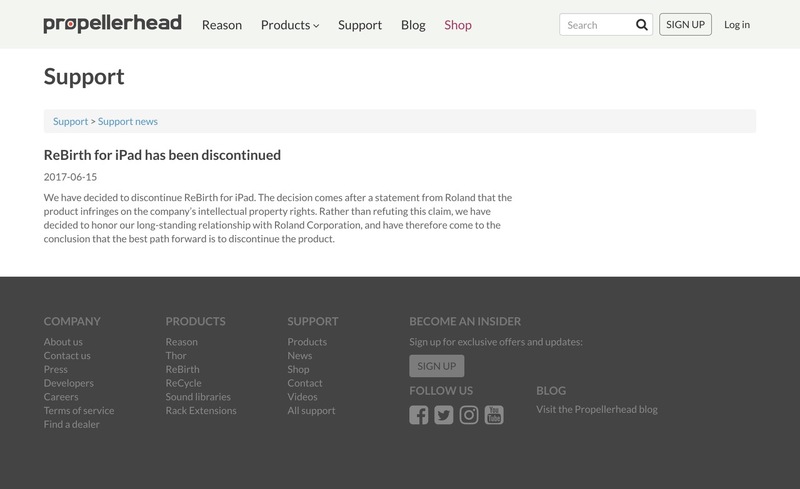 The decision comes after a statement from Roland that the product infringes on the company’s intellectual property rights. Rather than refuting this claim, we have decided to honor our long-standing relationship with Roland Corporation and has, therefore, come to the conclusion that the best path forward is to discontinue the product.